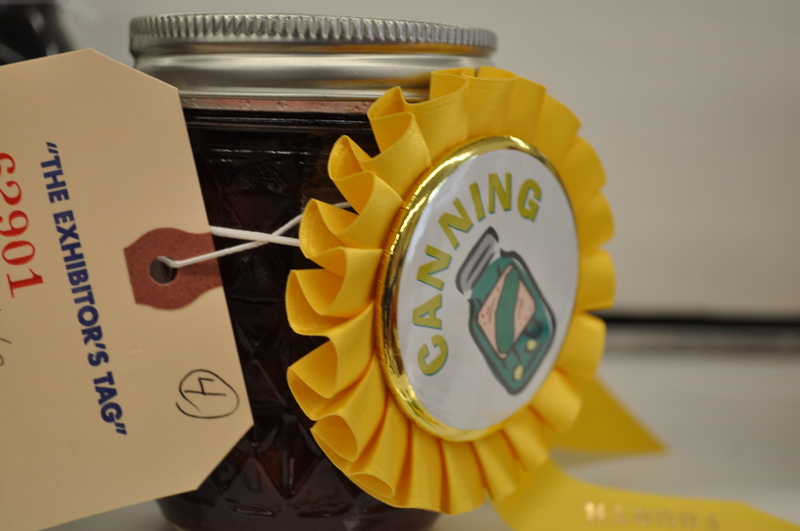 My first entries into the canning arena at the fair. Cherries and dill pickles. I got a fourth place for the cherries. Nothing for the pickles but I am still learning. I saw the better jars did spears. I did slices. I knew I wanted to learn how to can more fruits and vegetables and I finally got the courage to enter the fair. So glad I did. You never know until you try. 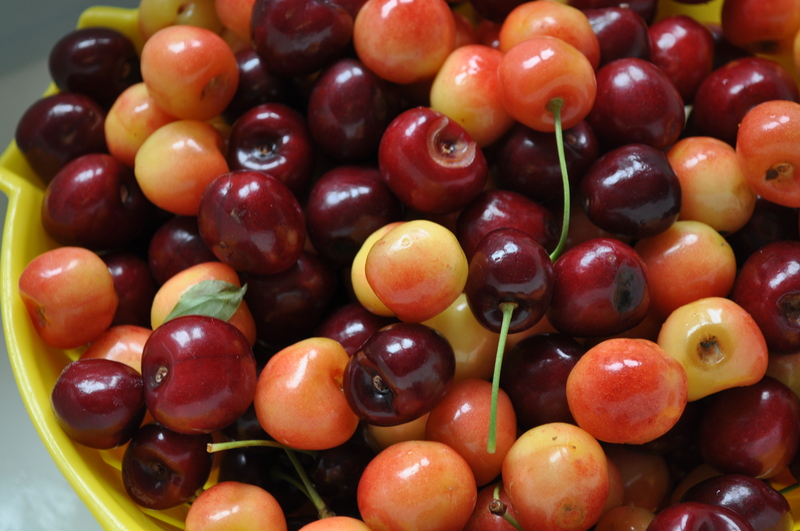 These luscious cherries. From Larriland. Picked in June. 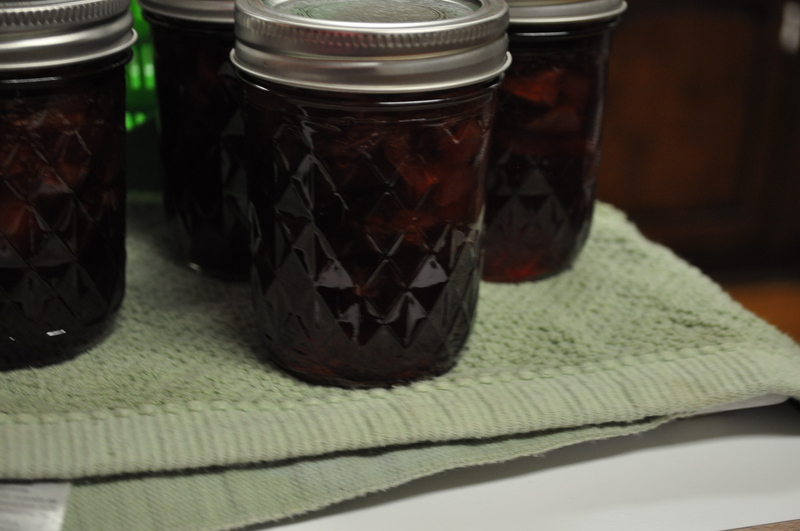 I separated them before making the preserved batches. This was a very simple cherries, sugar and water mix. No pectin. No hard work other than pitting all those cherries. Water bath processed. I got 5 pint jars of them. Herbs. 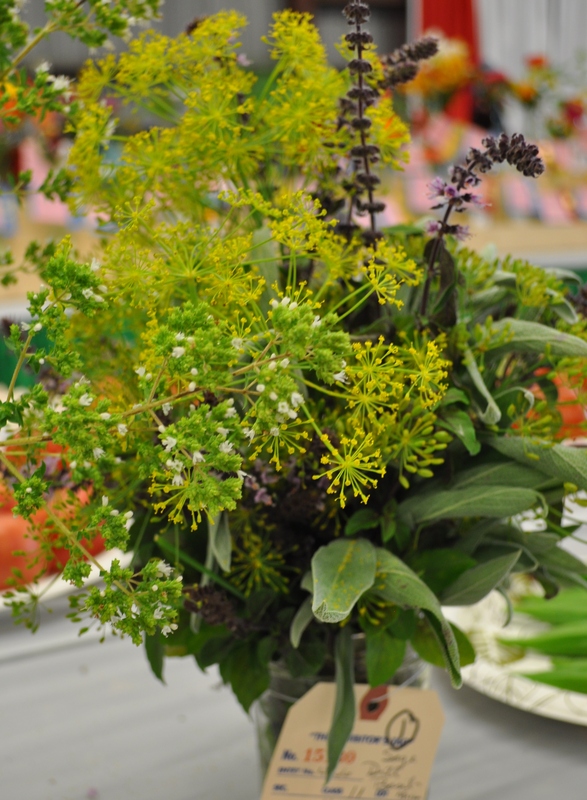 This may be the third blue ribbon for herbs. 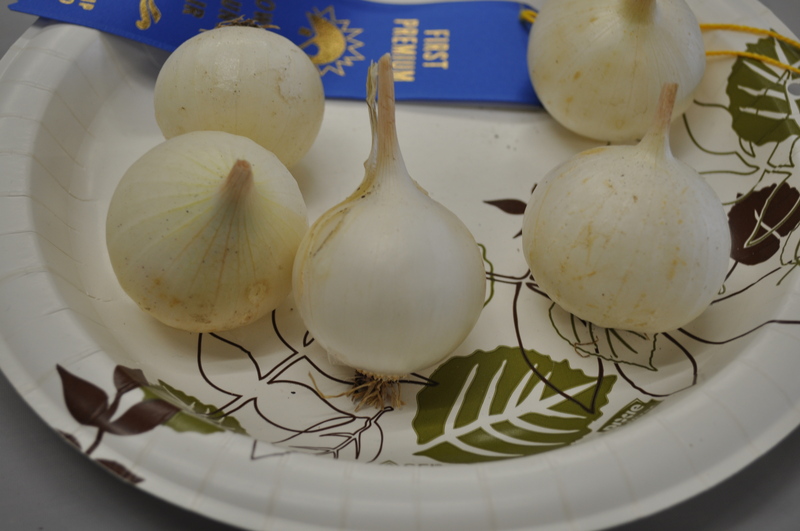 I have to look at the records, as I have never gotten a blue ribbon in anything other than herbs before this year. 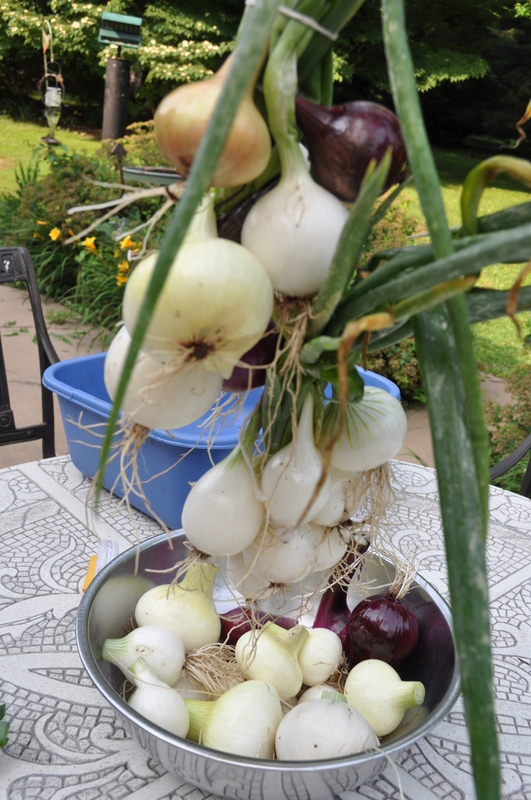 And, onions. They got me my other blue ribbon. Those onions. Lots of work to dry. But, oh so worth it. The five selected hung out in a closet in the laundry room, on hangers and string, until I was ready to enter them. I didn’t take pictures of my third place basket. I need to go back and document that for my records. My final ribbon, for yellow slicing tomatoes. Somehow I missed taking that picture too. As usual, I struck out with my heirlooms. They just lacked the intense flavor they need in order to win a ribbon. But, there is always next year. If you have never had the courage to enter items in the fair, you really should just throw caution to the wind, and get in there. Easy to do. Really. Every year I learn more, and the people I meet are all very helpful. Next year, I may even overcome my inexperience in baking and enter my zucchini bread. Or, take the time to enter some of my photography. There are so many ways you can participate. Posted in Bucket List, Community, Gardening, Hobbies, Howard County and tagged commentary, community, cooking, gardening, heirloom tomatoes, hobbies, Howard County, tomatoes. Bookmark the permalink.